Dig this display unit I saw at a store recently. 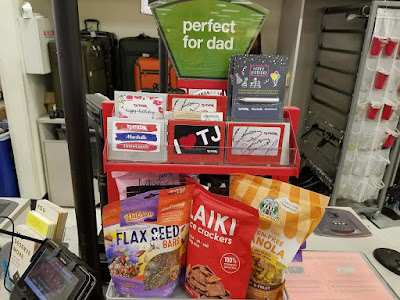 Flax seed bars, rice crackers and granola are perfect for dad? Who's dad? Certainly no dad I know. There better be beer and pork products wrapped for me on Father's Day or someone's going to be in a lot of trouble!